AG issues arrest warrants, freezes bank accounts of fuel smuggling petrol station owners. 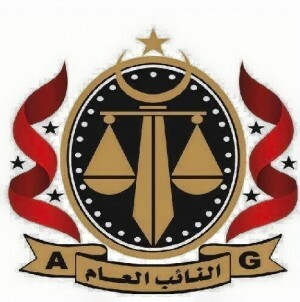 The Attorney General’s Office has issued arrest warrants for fuel smugglers who own petrol stations (Logo: AG). Libya’s Attorney General’s Office (AG) has issued 48 arrest warrants for owners of petrol stations across western Libya in connection with fuel smuggling. The arrest warrants, dated today and leaked to Libya Herald today, order the legal closure of the listed petrol stations. The AG’s Office also orders Brega Marketing Company (BMC), the state importing and wholesale fuel distribution arm of the National Oil Corporation (NOC), to cease supplying the listed petrol stations with fuel. The AG’s Office has also ordered the Tripoli Central Bank of Libya to freeze the accounts of those listed in the arrest warrants. The AG’s Office has become emboldened of late. In January it issued an arrest warrant for Abdelhakim Belhaj for complicity in attacks on oil installations and an airbase. Yesterday it arrested Ali Mahmoud, the chairman of the LIA. Belhaj heads a political party in Libya; Alwatan Party. The party was unsuccessful in the 2012 parliamentary elections. The January arrest warrant listed 37 people in total. They included 31 non-Libyans made up of 23 Chadian and 8 Sudanese opposition rebel militias on charges of abduction and armed robberies in southern Libya. The 6 Libyans charged in the warrant included Abdelhakim Belhaj and former self-proclaimed chief of the Petroleum Facilities Guards (PFG) Ibrahim Jadran, on charges of attacking oil ports and Tamanhint airbase in southern Libya. Sources say that the AG’s Office is receiving support at different levels by UNSMIL, the UN Sanctions Committee, as well as collaboration, coordination and technical support from prosecutors’ offices in some EU countries. The (Salafist) RADA Deterrence Force led by Abdelrauf Kara acts as the AG’s implementing arm.